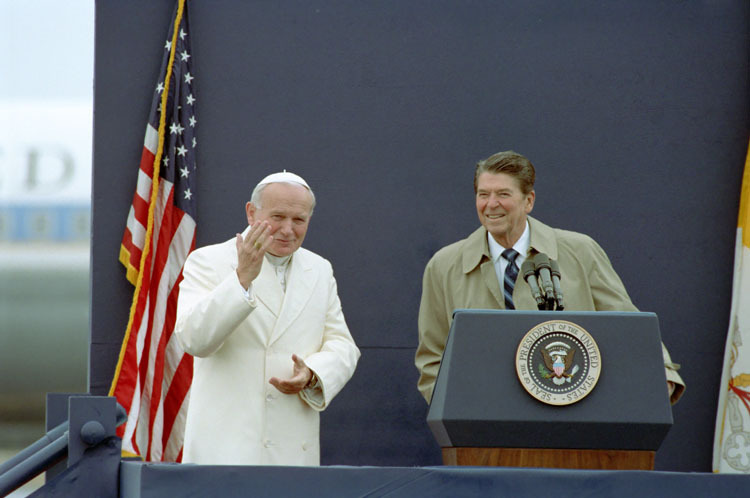 John Paul II proclaimed, “Be not afraid.” Ronald Reagan spoke of “a city on a hill.” Both teamed up to stare down communism, backing strong words with resoluteness. Having had the good fortune of studying in Rome as an undergrad, I recall with sweet fondness standing in the shadow of Bernini’s great colonnade many a time to see Pope John Paul II bless the crowds from his window overlooking St. Peter’s square. Now, I wait with eagerness along with billions of Catholics and other interested observers worldwide to see the white smoke emerge and a new pope step out to greet the world. As we wait, I have been reflecting on events from recent papacies that speak to leading organizations of all sizes. When the former Angelo Roncalli became Pope John 23rd at the age of 77 in 1958, few expected the portly unknown cardinal to be anything more than a “caretaker,” keeping the papal seat warm for a few years and not doing much else. No one foresaw the seismic shift he was soon to usher in with the simple but dramatic calling of the conference (known as Vatican II) which more than any other single event brought the Church into the modern age. Lesson: Sometimes one simple but profound, singular leadership decision can change everything – shaping and re-setting all prior agendas. (Disclosure: As a practicing Catholic, I have a deep affection for Pope Benedict. However, people of any or no faith tradition should read on without trepidation, as this post focuses solely on leadership issues, not religion or dogma). This morning’s announcement that Pope Benedict was resigning the papacy for health reasons absolutely stunned me, as it did the rest of the world. Still taking in the impact of this historic event — something that hasn’t happened in 600 years — a few initial leadership lessons come to mind. While a pope has many roles (as a head of a Church, head of state, and world figure), in secular terms, each role can be reduced to one simple but powerful word: leader. Here’s what I believe his resignation teaches. The fact that even his closest aides didn’t have a hint of his pending resignation indicates the depth of conviction that he felt about his decision. “Unto thine own self be true,” we’re advised. In this case, the truth was clear to him, and he acted decisively, with clarity of purpose and (I imagine) clarity of mind and heart. When clarity is present so strongly, no outside deliberations are necessary to provide “cover” or comfort—clarity is the comfort. By canon (church) law, the pope has the right to preside over the Church until his death. As a world class theologian, no one would be more fully aware than this pope of the unprecedented nature of his resignation and how it might affect his place in history. 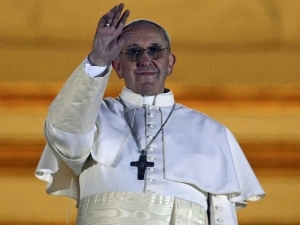 In this act, though, he has chosen to place the needs of the many — leadership of more than 1.2 billion faithful — over his personal, ego needs.In a statement, the pope said in order to govern “…both strength of mind and body are necessary, strength which in the last few months, has deteriorated in me to the extent that I have had to recognize my incapacity to adequately fulfill the ministry entrusted to me.” In doing so, he put the good of his organization — of a size and scope that requires active, day-to-day leadership, especially during these complex modern times — ahead of himself. Perhaps the most startling part of the announcement for me was the date of the resignation (two weeks from now). As a colleague noted with great surprise, this has him stepping down in the middle of the holiest and most important season in the Church calendar (Lent) — setting up a most unusual Lenten Conclave of Cardinals to select his successor.Few would have blamed him for “hanging on” a month longer, so that he might have the satisfaction of leading one more season of Easter services. With this timing, though, the pope has guaranteed that his successor will greet the world at the most sacred and impactful of moments — the events of Holy Thursday, Good Friday, and Easter Sunday — thus launching the new pope forward to put his own stamp on his nascent papacy from the very first moment. In organizations, major change can sometimes occur at unexpected moments—and with great change comes opportunities for (and insights into) leadership. 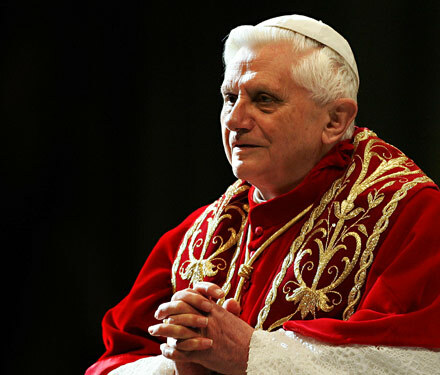 The impact of Pope Benedict’s decision will be assessed in the days, and months, and decades to come. Today’s immediate lesson for me is the power that acts of humility can have on our organizations and ourselves. If we know our own hearts, and look to the needs of others, we will lead through service, for the greatest good.